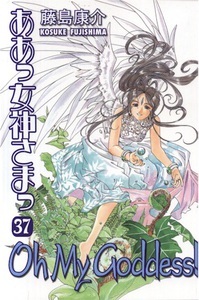 Ever since a cosmic phone call led five literal young goddesses - Belldandy, Urd, Skuld, and, like occasional vowels, Peorth and Lind - to live in college student Keiichi's residence, his personal life has been turned upside down, sideways, and sometimes even into strange dimensions! Clumsy, naive, spacey - just the qualities you want in a goddess tasked with delivering an important magical program to Belldandy. And Chrono, the newest goddess to appear, possesses these qualities admirably!